The solo project of Janne Da Arc vocalist yasu, Acid Black Cherry, is a new rock unit currently signed to Avex. With a high production rate, fans are frequently treated to new releases of ABC, and the group has managed to cause a lot of excitement both at home in Japan and abroad. Though Janne Da Arc fans had initially been disappointed in January of 2007 as they learned that the band would be taking a break and the members would be working on solo careers, a rush of excitement was felt in May as Janne Da Arc vocalist yasu started to work on his solo project. An official announcement had not been made, but that didn’t stop yasu from performing in secret, and throughout May and in the beginning of June, he held various secret lives all across the country. In June, the official announcement of the start of Acid Black Cherry appeared on the official site of Janne Da Arc. This was not the only announcement, however; the group’s first single, SPELL MAGIC, would be released in July. The highly anticipated single was received very well. During recording, yasu had been working together with various other well-known artists, such as SUGIZO (solo, LUNA SEA) and SHUSE (ex-La’Cryma Christi). Live, he was supported by Chisato (PENICILLIN), YUKI (DUSTAR-3) and various other musicians. 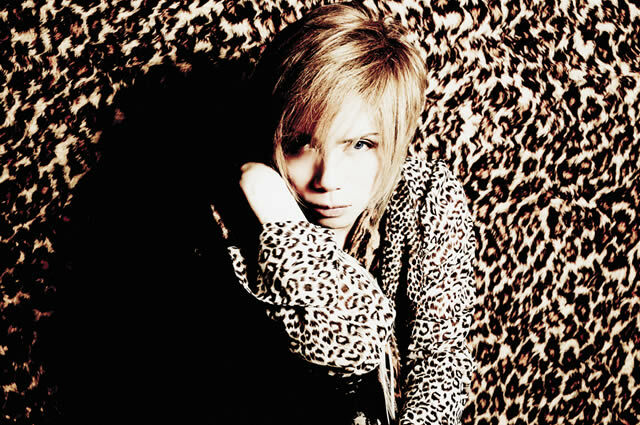 Acid Black Cherry’s popularity increased rapidly due to an extensive promotion campaign. yasu appeared in various magazines and on a lot of radio shows, sometimes even doing radio appearances twice in a single day. But promotional activities and live shows weren’t the only things that kept yasu busy; his releases came out in a steady flow. In early 2008, hardly a year after his start, yasu had four singles to his name. Each of them contained one original track and a cover song, and the original tracks can also be found on his first album, BLACK LIST, which came out in February. Another album named Recreation, containing the aforementioned cover songs and more cover tracks, came out in May. Two more singles came out in 2008, as well as Acid Black Cherry’s first live DVD, which contains footage from his BLACK LIST tour of that year. For this year, a new single came out in February, and the usual promotional campaigns are still keeping yasu busy to the max. It seems that Acid Black Cherry has no intention of slowing down any time soon.